"Great to build up conversational skills." When the Pimsleur method was introduced 40 years ago, it was considered a radical new approach to language learning. Dr. Pimsleur sought to create a foreign language learning program that would allow students to develop conversational ability in a much shorter space of time than was previously thought possible. In order to do this he created a method which stressed active participation over the rote learning that predominated at the time. The Pimsleur French course uses those same methods that were developed in the 1960's, but how effective is it today? Especially when compared to the highly interactive software driven language courses that are now available. In this review I will try to answer these questions. I will also explain the things about the Pimsleur course I most liked, and who it is best suited for. Next I'm going to detail out the limitations and flaws in this high priced language course. 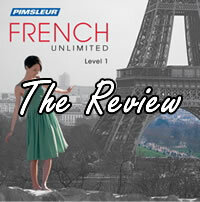 Finally I will offer my own opinion as to whether Pimsleur French is the best French language course to purchase. 4 Audio CDs - Pimsluer French is an audio only program. The course consists 30 lessons with a total of 16 hours of practice. Reading booklet - The Pimsleur French course also comes with a reading booklet that compliments the audio course. Pimsleur French has quite a complex pricing structure, so you need to be aware of what you will actually end up paying. On the Pimsleur website the course is offered for introduction price of $9.95. However this is not the total payment, this is only the trial payment for the first 30 days. After this you will be charged an additional 4 monthly payments of $64 each. This totals $265.95 which puts at the high end for language course. Requires intense focus - While Pimsleur is an audio course, it is by no means passive. When the course pauses in the conversation you are required to come up with the correct phrase. The answer is then given in French. Because you are constantly required to think about what you should say, you need to focus intently on the course. This level of focus can help to bring about rapid improvements in your language abilities. Very good for conversational skills - Pimsleur French does not try and teach you to read or write French, instead it focuses only on teaching you to converse in French. By limiting the material of the course it is able to do one thing very well, instead of doing many different things only moderately well. Proven teaching methods - The teaching methods that are used in Pimsleur French were developed by Dr Paul Pimsleur. The basis of this method is the principle of anticipation and graduated interval recall. With graduated interval recall you are asked to remember a word or phrase, and asked to recall that same phrase at increasingly large intervals. For example you may be asked a word, and then asked again 30 seconds later. The third time you are asked would be a 1 minute, then 5 minutes and then 20 minutes apart. Eventually the spacing may be as far as days or weeks apart. This has been proven to be an excellent way to teach you to memorize any piece of information. When it comes to memorization Pimsleur is difficult to beat. It's expensive - At just under $300 for Pimsleur French I it is not cheap. This is especially true, when you consider that it is an audio only course. Many other language learning courses, such as Fluenz French, include audio learning as an additional extra to the main software course. And Rocket French, which is a 20 CD course, is one third the price at $99. Target to specific customers - It is easy to tell that Pimsleur has only a certain target market in mind when it put together the course. The content is specifically aimed at teaching businessmen how to get by when they are abroad. The phrases taught are narrowly focused on this core group. For anyone outside of this group the phrases and conversation pieces taught are not going to be anywhere near as useful. This is symptomatic of the fact that the Pimsleur course is considerably out of date. Doesn't teach you to read French - This is an almost entirely audio course and so only teaches you to speak and listen to French. There is almost no tuition on how to read and write the language. There is a reading lesson in unit 9 of the course but this is extremely limited. There is also a reading booklet which accompanies the audio, but again this is not the focus of the course. This will be considered a major drawback for many learners, as even the casual visitor to France will want to have at least some basic French reading skills. Penalizes visual learners - We all like to learn languages in our own way. Some of us are very auditory learners and like to hear languages spoken, such as with the Pimsleur method. But others like to see visual clues and have the words written down. By focusing on only one way of learning, people with other learning modalities are at a disadvantage. Limited to conversation - Pimsleur aims to do one thing and one thing only, which is to teach the student how to converse in French in the shortest possible time. 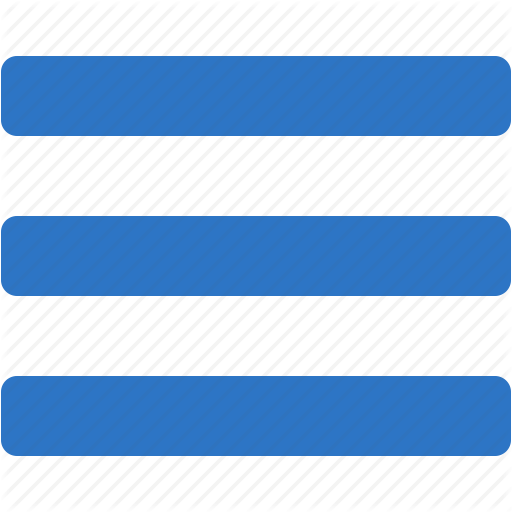 This is both its strength and its weakness. While many people find it effective for teaching conversational French, it does not cover other important topics such as grammar, culture or as mentioned above reading. Pimsleur French is arguably one of the most effective ways to teach you how to speak in French in a relatively short period of time. While it does not teach other important areas such as the written language or French grammar, it is very good for conversational skills. Unfortunately it does have a number of drawbacks. Perhaps the most important of these is the price. At almost $300 it is very expensive for such a limited course. If your main priority is to learn how to talk in French then this may be the course for you. However I would recommend a course such as Rocket French, which at a third of the price, covers everything that Pimsleur offers plus much more.